We are offering eight ESP members a fantastic opportunity to take part in a bookbinding lesson and workshop at Book Works. 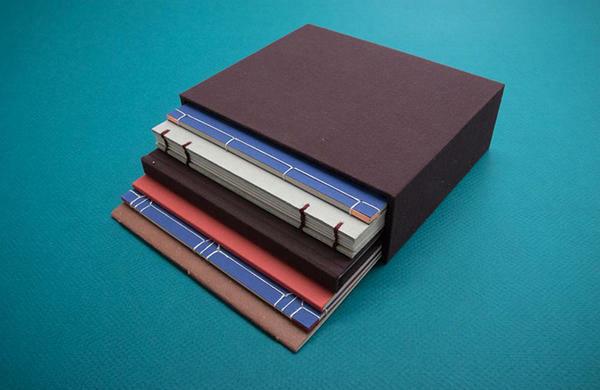 In this one-day session you will learn hand bookbinding and box making techniques, including concertina binding, and work on a binding of your own design. The workshop will be run by Ina Baumeister at Book Works Studio in Shoreditch, London. This workshop, usually costing more than £100 per person to attend, is fully subsidised by ESP and free to selected members. Those selected will need to arrange their own travel to and from Book Works. To apply to join the workshop, send a short paragraph (400 words max) explaining why you want to take part in the bookbinding lesson to submissions@eastsideprojects.org, by Friday 5 May. ESP is Eastside Projects’ associates scheme. ESP is generously supported by Arts Council England and Birmingham City University.